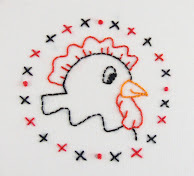 As I mentioned in a previous post, I am working my way through an embroidery book called 100 Embroidery Stitches. 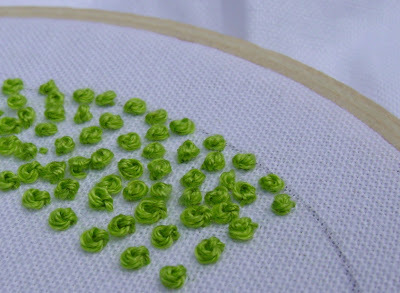 Stitch number one was the back stitch . 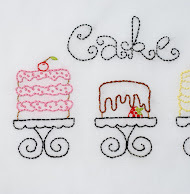 The second stitch I am going to show is found in the knotted stitches section of the book and is: the French knot (stitch #52). To demonstrate my learning of this stitch, I am using a beautiful orange floss. This is DMC color variations number 3840. Hola Carmen :) Feliz Año Nuevo a usted ya su familia! ¡Estoy tan feliz de que te haya gustado el tutorial!